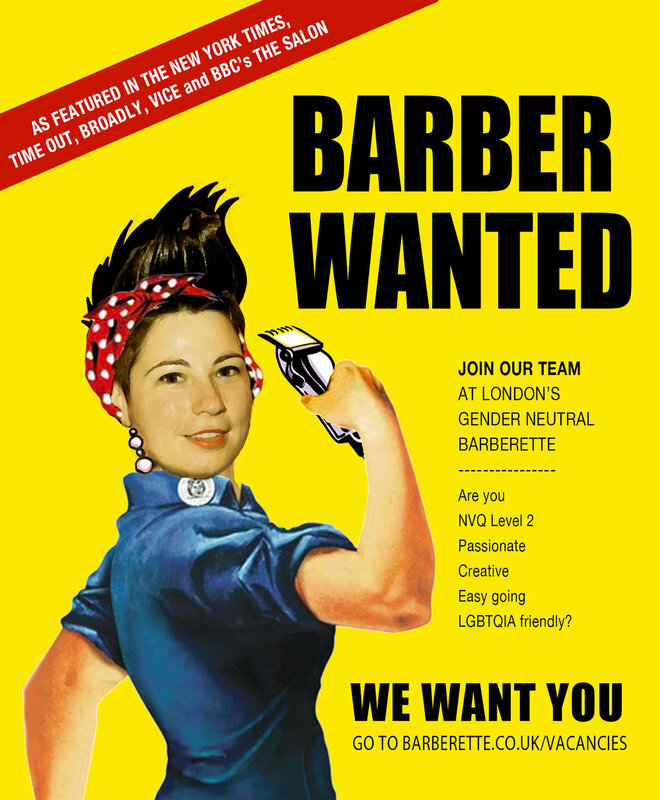 Barberette: London’s gender neutral hub for barbering and hairdressing services is growing! We're offering a part time or full time position for an experienced barber/stylist/colourist. We are looking for a wiz with varied skills in trendy/quirky/alternative hairstyles and a true love for hair-cutting! If you think that you are a match for what we are looking for, please complete THIS FORM https://docs.google.com/forms/d/e/1FAIpQLSda1gLIdRqHpGtt-E-8Jmng7wsxhdvmCIshGQrOx7J3mq-BTw/viewform?c=0&w=1, let us know what you do, and what we could bring each other. Only qualified, passionate applicants will be contacted and invited for a telephone interview, a skill test and face to face chat.